SCVHistory.com SZ2701 | Pico-Mentryville | Charles E. Sitzman, Oil Field Superintendent 1927-1937. Charles Edward Sitzman, 5x7 matte portrait, undated. Sitzman was the third and final person to hold the official title of "superintendent" of the Pico Oil Field. The first was Alexander Mentry; the second was Walton Young, who took over after Mentry's death in 1900 and retired in the late 1920s. According to descendants, Sitzman also owned the Soledad Hotel and Coffee Shop in Newhall. 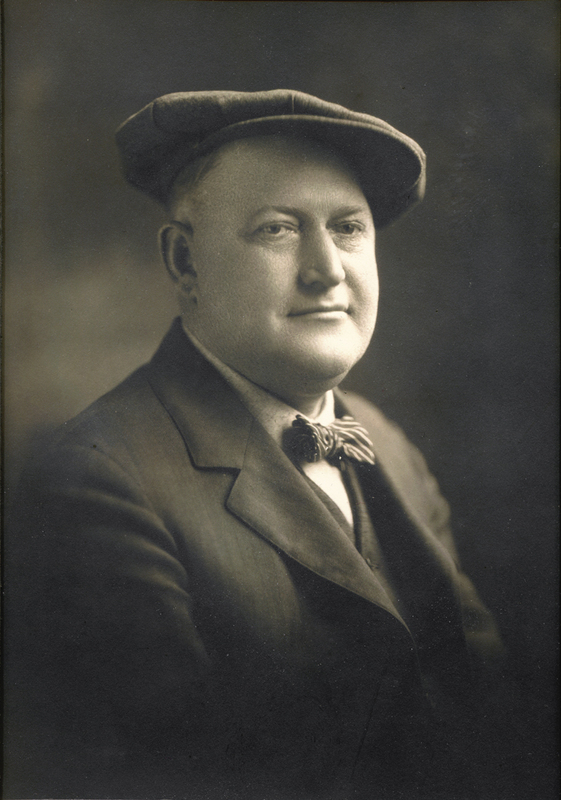 Sitzman was born January 10, 1878, in Bodkins, Ohio, and died June 9, 1950, in Newhall. He married Emma Elizabeth Lemcke, born April 4, 1890, in San Diego, died June 28, 1957, in Newhall. They had two children: Philip Edward Sitzman, born February 5, 1920, in Coalinga, Kern Co., died July 20, 1993, in Fairfield/Solano; and Barbara Emma Sitzman (later Cook), born November 10, 1921, in Tupman (Taft), Kern Co., died December 11, 2002, in Amarillo, Texas. Further reading: The Pico Ghost Camp by A.B. Perkins, 1962. SZ2701: 19200 dpi jpeg from original print donated 2004 to the Santa Clarita Valley Historical Society by Merle Cook, son of Barbara Sitzman Cook and grandson of Charles Sitzman.